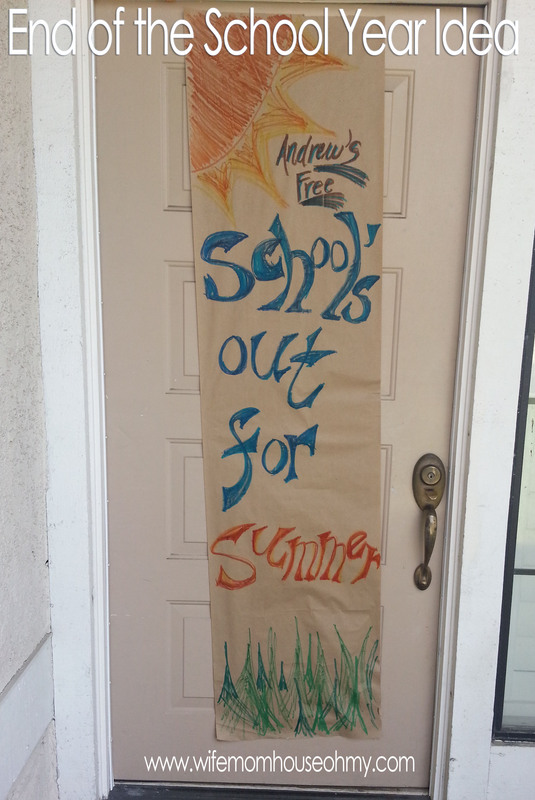 So I fully recognize that my son is a full blown teenager, 16 and driving, BUT that does not mean he has gotten over the “School’s Almost Out for Summer” can’t wait for it to happen melancholy anxious mood that every kid seems to get right about Spring Break. Got to love the months of, “Is it over yet?” kind of conversations. (I am sure I never, ever, ever did anything like that to may parents as the perfect little angels my brothers and I were…yeah right!) So despite being 16, I wanted to make this year’s end of school something fun, especially since it was the first year’s end in our new house. Here are some of the little things we did as well as some other fun ones I found surfing Pinterest. State It Loud, Bold and In Print! Hopefully it came out masculine enough but signage says it all. I wanted there to be something unexpected waiting for Andrew when he got home and well since whether he rides his bike or I pick him up, he comes in through the front door. A banner seemed ideal! Pretty simple too! I had left over butcher paper from my kitchen painting projects but it is equally as easy to pick a roll up from Lowe’s or Home Depot or local school supply store. They run anywhere from $4 to $10 depending on width and length. I grabbed my supply of markers and went what I hope came out as a cool rendition of masculine “posterizing” to create my sign. With a whole lot of double sided tape, which surprisingly held up for three days, up the sign went. I’m pretty sure he liked it as I actually got a chuckle with sense of happiness out of it…almost a standing ovation from normally silent teenage boys. Another idea, but not happening in my indoor puppy and kitty filled home, is to put the banner up in a manner that they can run through it when they get home. I think, especially little ones, would love this. Think to the football games and basketball games where cheerleaders held pap signs massively painted with all things spirit (in this case summer) and large enough for them to smash through it. I think that would be so much fun! 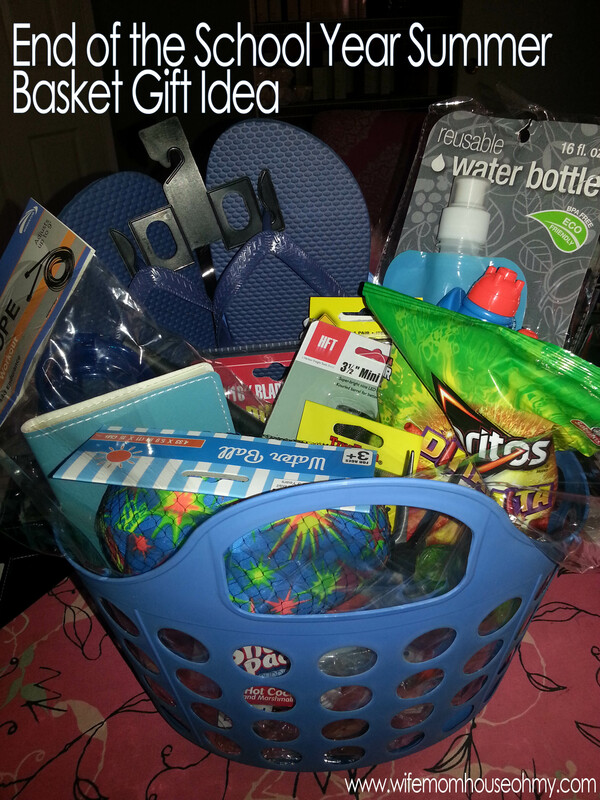 This was another pretty simple and inexpensive something special to do for him. Using a small beach plastic tote, I (and my husband) pulled together some teenage boy appropriate items to stick in, none of which were super expensive. Since he is working on his vertical jump and exercises, he got a new adult length jump rope and crumple water bottle. He’s a fisherman so an update to some of his supplies were needed as well as snacks – with a teenager you can never go wrong with snacks. And being summer, there needed to be some summer essentials included such as new flip flops in blue of course for those that know my Andrew, pool football, and a water gun…and this mom was smart and bought one for dad and herself to make sure we could defend ourselves. Definite hit! 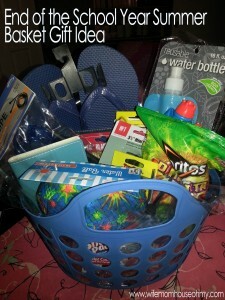 While Andrew’s basket was made for a teen, it can easily be customized for anyone of any age. We opted for dinner with the grandparents which was fun for all as Andrew loves hanging with his grand-dude. But the reality is just getting out and doing something. Make it special even if its not huge or costly. Its about why its being done. I was doing my shopping and a grandma was with her two granddaughters picking up some $1 beach supplies and heading to our local and very inexpensive Bonelli Park beach for a End of School Beach Blast. The girls picked out two beach toys each and then headed to the park. My son loves fishing, so you guessed it, bright and early the next day, both my boys headed out for an End of School Fishing Fest! Little kids and big kids will enjoy the expectation of something fun after a year of hard work! Plus, it makes great family time and memories. Not something I did but so think is awesome and wish I had been able to do with Andrew when he was just starting school…ah well, I feel blessed I have had him as long as I have… was to do “Before” and “After” photos. There are several versions out there that can easily be Googled but the premise of it is pretty much the same. Take a photo on the first day of school each year and a photo on the last day of school each year. They can hold signs with the day. You can added memory facts in Photoshop but in the end, its a wonderful memory for you and them. I have seen where parents have done little interviews with their kids, like “What do you want to be when you grow up?” (which I think is really cool for helping kids dream). Another fun twist I saw on this, sorry that I can’t remember where to give credit, but was to take a picture of them on the last day of school holding the picture of them on the first day of school. I thought what a cute twist. And speaking from looking at my not so little man’s growth between September 2008 and June 2009, this can be a HUGE difference in look! 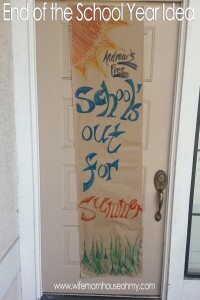 However you choose to celebrate the end of this school year, I hope its fun for all! Enjoy the bliss because I’m sure we will all be asking shortly, when does the first day of school get here? See you next post which will be the deign for the hopefully gets to get done now, living room.